A liquor promotion can typically include a free gift with purchase or on pack promotion as standard. A more successful way in which to market liquor is to combine numerous promotional ideas into one to really stand out from other brands. 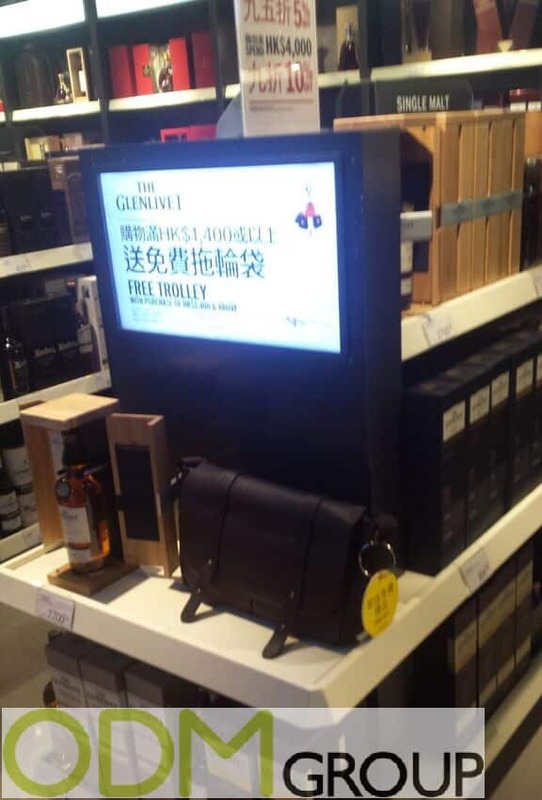 These promotions by Glenfiddich and The Glenlivet are great examples of how individual marketing ideas can come together and create a very strong marketing campaign. Below we will highlight what these promotions are and why they are beneficial. Why is their promotional display so good? Packaging – Inclusion of premium promotional packaging is another great way to increase your perceived value. Adding value through packaging means that a customer’s first impression of your product will be that of high quality. This will instantly associate your brand with luxury, improving your brand image. It also increases what they are willing to pay for your products. Clear Displays: A well implemented POS display can be hugely influential in drawing in potential customers. In these examples, both liquor promotions have bright and easy-to-read signs that clearly state what the promotion is. They also include their brand logos, which we know always improves brand recognition. They will be extremely effective in catching the eye of customers and alerting them of your offer. Our blogs on POS displays can provide you with more information on how and why displays are important for business. Premium gift with purchase: A free gift with purchase is a great way to boost sales and gain attention of potential consumers. 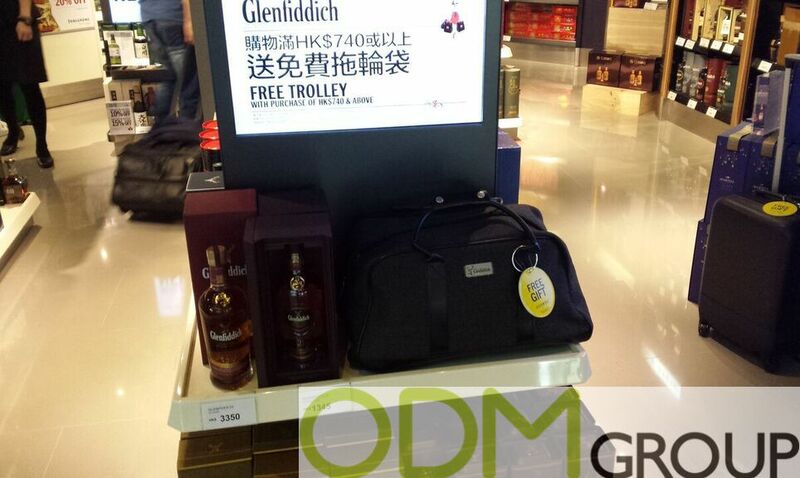 In this case, both of these liquor promotions offer a practical and stylish bag with each purchase. Being an item that is likely to be kept and used will contribute to a customers willingness to buy the product. It will also ensure customer satisfaction as they will feel they are getting good value for money. With this in mind, it is clear that whilst these individual ideas are effective on their own. But combining them like in these examples will ensure you have a strong and memorable promotional display. Does your business need advice on promotional displays?